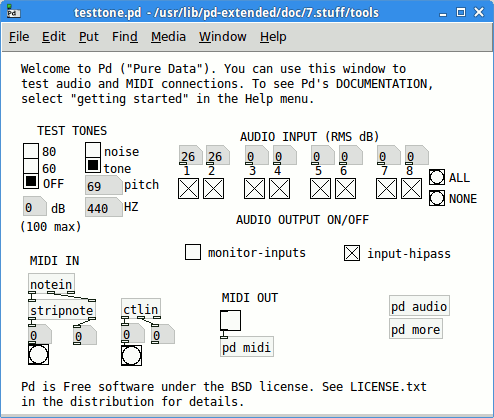 Pure Data (aka Pd) is an open source visual programming language. Pd enables musicians, visual artists, performers, researchers, and developers to create software graphically, without writing lines of code. It runs on GNU/Linux, Mac OS X, iOS, Android and Windows. There's also a library version called libpd that can be embed in your application (also on mobile app).